As financial technology continues to evolve to meet consumer needs, Starling Bank CEO Anne Boden suggests that mobile-only banks are the wave of the future. 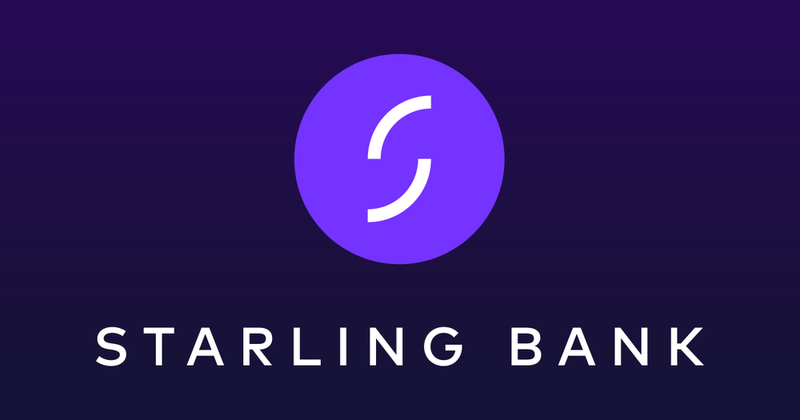 Taking an innovative approach to consumer banking, London-based Starling Bank www.starlingbank.com offers digital, mobile-only banking services. The bank operates current accounts, business banking and a payments service scheme for merchants. Founded by former Allied Irish Banks COO, Anne Boden, in January 2014, Starling Bank is a licensed and regulated bank that offers convenient and easy to use banking services via its mobile app. 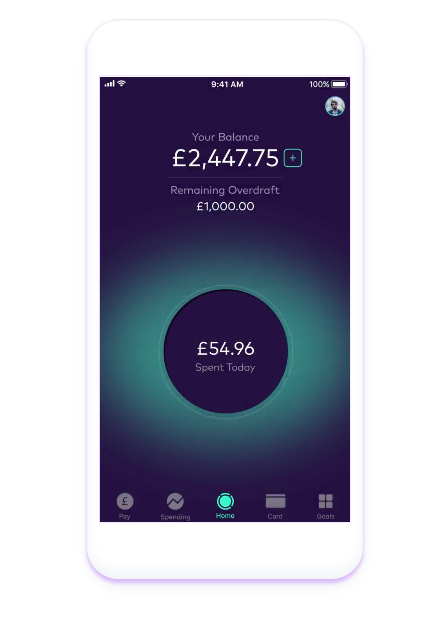 Part of a growing group of “challenger banks,” Starling Bank aims to simplify personal financial management, help customers cut down on unnecessary fees, save more and be financially prepared through better planning and real-time updates on spending habits. How does Starling Bank work? Starling Bank issues the customer with a Contactless Mastercard debit card. You can control your entire account through an app on your phone. The app stays focused on the essentials with a clear, minimalist design and easily accessible tabs to view other features. These features include making payments, adding or withdrawing money, transferring money and keeping tabs on your daily spending habits updated in real time. Pay: Regular payment features along with the ability to transfer your current standing orders from your old brick and mortar bank. Add money: Add money (max £250 per day currently) to your account or transfer as much as you like using ‘Faster Payments’ and online banking. Spending: A real-time record of your spending habits with advice for areas where you can save. Security features include completing a customer’s initial registration with a video and photo-ID, the ability to deactivate a card with just a push of a button, real-time updates of financial transactions and notifications for any unusual activity. In 2018, four-year old mobile bank, Starling Bank won Best British Bank and Best Current Account 2018 for its personal account. Self-described as banking for ‘mobile living,” Starling Bank offers money management tools, flexible card controls and 24/7 customer service support all through its app and on the go. The personal account for instance, helps customers keep track of their spending habits similar to Mint.com or other financial planning apps, manage overdrafts and more. Your account is fully accessible via the app. Starling Bank also offers a fully functional, contactless Mastercard debit card, options for direct deposit and works with Apple Pay, Google Pay, Samsung Pay and Fitbit Pay. Protected by the FSCS, Starling Bank follows all necessary banking regulations and is fully licensed by the Financial Conduct Authority (FCA) and Prudential Regulation Authority (PRA). Starling Bank does not operate any physical branches and costs significantly less to operate than traditional banks. The bank has noticeably fewer fees and does not penalize customers for declined transactions, like traditional banks. 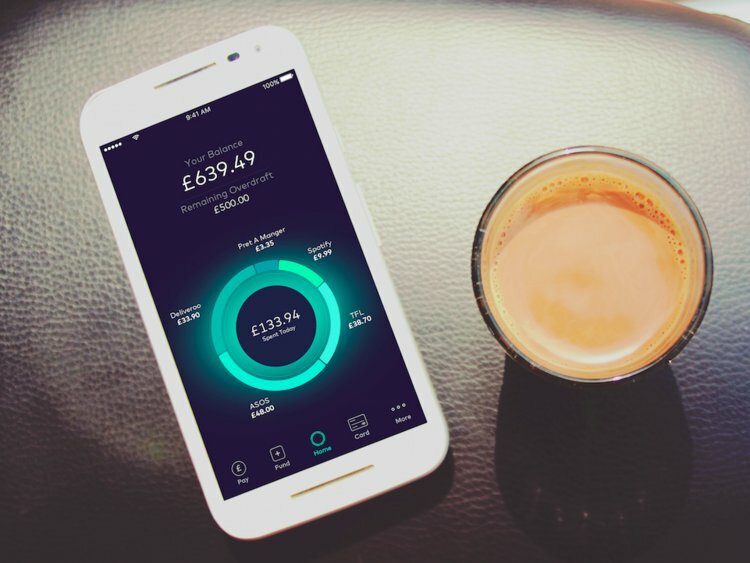 Starling Bank operates solely from its mobile app. Any doubts as to the bank’s lasting power were removed when membership shot up from 50,000 to 400,000 in the United Kingdom in 2018. Growth in 2019 is expected to top over 1 million, putting it on par with competitor Monzo. Starling Bank is looking to expand in Europe, starting with France and Germany first. Starling Bank has reassured customers worried about the outcome of Brexit that they will still be operational and fully functional. Previously, the bank had stated that it would establish a subsidiary in Ireland ahead of Britain's departure from the European Union. The bank already has employees outside the U.K. and expects to more than double its workforce in 2019. Starling Bank also services 20 large clients including the U.K. government, other banks and corporations via its Payment Services. Competitor challenger banks like Monzo have announced their intentions to expand into the United States. Tandem, another challenger bank, obtained Harrod’s banking license last year and has launched its own product, a cash back credit card. Nonetheless, these start up banks, despite their growth plans, remain behind Starling Bank by a long stretch. Starling Bank has been expanding its integrations and partnerships with an expected 25 new partners, including PensionBee, Flux, Wealth Simple, Habito, Kasko and Soldo. Soldo for example, is a fintech that helps manage business team expenses, and integrates into Starling Payments Services Division, providing access to the UK’s Faster Payments. Starling Bank also is committed to offering consumers business options as well, that include micro businesses, an area that is often underserved. The bank announced its intention in October 2018 and delivered on its promise by March 29 of this year. The bank allows consumers to open an account in less than ten minutes, right from their smartphones. There are no fees to have an account, make a payment to another bank account or to withdraw cash. Business customers can do their entire banking right from the mobile app. Customers can make payments to suppliers from the app. This includes international payments. Customers can see monthly breakdown of transactions, organized by categories and export transactions to their accounting software. They can also plan out cash flow for taxes and other expenses via the “Goals” feature. Customers will also receive instant notifications when they receive money into their account. While its partner list continues to grow, Starling Bank offers business customers access to chosen partners for accounting and invoicing platforms, such as Xero via its in-app Marketplace. The bank expects to offer new products and services this year, beginning with Euro accounts for UK residents. 3,500 customers are on the waiting list to set up such accounts. Starling Bank also intends to offer credit cards and expand lending options in 2019. The bank already has a single euro payments area license, which allows it to carry out direct debit and card payments and transfers across the EU. Starling Bank offers same-day cash deposits and withdrawals for its customers through the 11,500 branches of the Post Office - a convenience not available among American online banks, along with real-time updates on spending habits and the ability to control overdrafts. Direct Debits conveniently appear in the day before they are due. Starling’s Marketplace showcases competitive insurance, pension and mortgage plans via its partnerships with third-party financial technology companies. In October 2008, just one month after the Lehman Brothers collapsed in the United States, British PM Gordon Brown announced an unprecedented yet essential plan to bail out the biggest banks in the United Kingdom. Up to £45 billion of taxpayers’ money went to the Royal Bank of Scotland (RBS). In order to receive such aid, RBS had to agree with the European Commission to create a £425 million Capability and Innovation fund that would encourage competition. Starling Bank is one of 11 challenger banks competing for these funds. Just four years old, Starling Bank has already made a name for itself and is challenging banking’s industry giants for a share of the retail banking market. The bank raised £48 million in January 2016 and put out its first accounts in July of that year. A full history of the bank’s growth is available on its website. Founder Anne Bolen has been awarded a Member of the Most Excellent Order of the British Empire (MBE), among many other notable awards. Boden had started her financial career in traditional banking at Lloyd’s in the 1980s after studying computer science in Swansea. As big banks failed to adapt after the financial crisis, Boden decided to step away and to learn more about fintech. She returned to banking as the chief operating officer (COO) of Allied Irish Bank and helped the bank streamline its operations, increase efficiency and return it to profitability. Prior to launching Starling Bank, Boden also held top leadership positions in the financial industry as Head of EMEA (Global Transaction Banking) for RBS, Executive Vice President for ABN AMRO and Vice President for UBS. As the years passed, Boden became convinced that traditional banks were not going to make any dramatic changes for consumers and that it was time to build something from scratch from the ground up, in order to be truly transformative. Boden decided to create a new digital bank by January 2014. It was not easy to transition and Boden found herself ostracized for thinking differently and that her peers and colleagues in the financial industry were more concerned with defending their ways of doing things instead of adapting to a changing mobile population. One of Starling’s main competitors is Monzo, a challenger launched in 2015 by Starling’s former CEO, Tom Blomfield. While Monzo offers pre-paid debit cards, Starling offers more banking features that customers are used to having at their banks such as personal and now business account set up, transfers, payments, cash deposits and cash withdrawals. Starling Bank also offers Current Account Switching (CAS) and provides services to other fintechs and the U.K. Department for Work and Pensions, thus having more than one revenue source. While Starling Bank does not bear the same risks as large traditional banks with a big footprint and physical offices, the bank still faces regulatory demands like any other bank. The Minimum Requirement for Own Funds and Eligible Liabilities (MREL) is a fund established after the 2008 financial crisis to require all banks to have a certain amount of capital on hand to ensure that they never had to be bailed out again. This capital requirement can limit some growth. In her interview with New Statesman, Boden pointed out how Starling Bank does not charge for declined transactions and that the entire process was automated with incremental costs. The process is the same for big banks, but they continue to charge customers high fees as they can get away it. Starling Bank does not charge customers fees for using their debit card abroad. The bank does not have a monthly cap on free overseas card transactions or cash withdrawals. The U.K. banking industry has been undergoing some recent updates with a plan by the FAC to revamp how banks charge customers for overdrafts. Starling Bank already meets these requirements. While Starling Bank’s banking app and competitors in the fintech space also are building services to meet the needs of Millennials, the majority of professionals in the fintech industry are in their 30s and 40s. This may change in the years to come. Starling Bank offers both iOS and Android apps. The bank was the first UK bank to offer in-app provisioning for Apple Pay. All Starling Bank mobile apps also offer in-app chat with customer service representatives. Since its inception, Starling Bank has been PSD2-compliant, meeting EU security requirements for open data sharing via open APIs. Open APIs essentially mean that a customer can give someone else permission to see your data. Customers can share their financial data through APIs, via platforms called aggregators that allow other financial providers to view and then offer specific, tailored products. Bigger banks such as HSBC have attempted to buy this to ensure control of the process, and prevent new competition. Many of these banks are now beginning to imitate Starling Bank’s banking features. In a sign of how modern this company is, Starling Bank considers itself both a bank and technology company, focusing on its developers and technology services, running its own hackathon and offering developer support via a podcast. Starling Bank has shared its commitment to providing customers with smart money management tools. The bank and its CEO are keenly aware of the growing digitization of consumer lives with tools that offer personalization, recommendations and research insight for consumers. The bank wants to meet and anticipate consumer needs to provide the most relevant, actionable and meaningful data insight for each individual user in real time. Starling Bank is exploring tools like machine learning to provide better, personalized insights direct to customers that customers alone will be able to access. Given the bank’s lower cost base, Starling Bank is able to make rapid updates using its modern technology framework that can adapt quickly to new retail and business banking needs. The bank expects to be profitable by 2020. Starling Bank also compensates account holders by paying interest on current accounts. Unlike traditional big banks that rely upon outdated infrastructure and older IT systems that need to be overhauled to keep up with new agile updates in a mobile-first world, Starling bank aims to always keep ease of access and rapid technology at the forefront of its banking. Thus the bank can consistently offer its customers the best deals and value. While the bank is fairly new, Starling Bank is gaining momentum and growing at lightning speed. While competition heats up among the new fintech challenger banks, one thing is clear - banking in the 21st century is changing after the 2008 recession and banks that care about providing their customers with the best experience, fair fees, transparency, lowered costs and complete mobile access, are poised to win by a large margin.